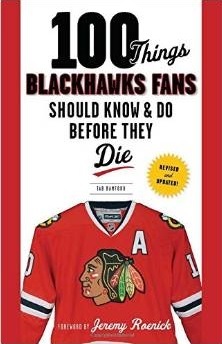 Below is a complete list of trades consummated by the Blackhawks on the NHL’s trade deadline day since 1980. March 11, 1986 – Chicago traded F Tom McMurchy to Calgary for D Rik Wilson. March 7, 1989 – Chicago traded a 5th round pick in the 1989 Draft (#90 – F Steve Young) to the NY Islanders for F Greg Gilbert. March 6, 1990 – Chicago traded G Alain Chevrier to Pittsburgh for future considerations. March 5, 1991 – Chicago traded F Mike McNeill and D Ryan McGill to Quebec for F Paul Gillis and F Daniel Vincelette. 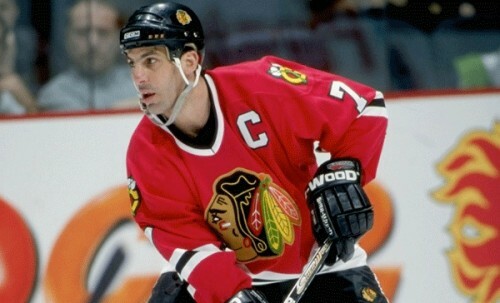 March 21, 1994 – Chicago traded a 4th round pick in the 1994 Draft (#92 – Mike Dubinsky) to Vancouver for D Robert Dirk. March 21, 1994 – Chicago traded a 3rd round pick in the 1995 Draft to Winnipeg for F Paul Ysebaert. March 21, 1994 – Chicago traded F Kevin Todd to Los Angeles for a 4th round pick in the 1994 Draft (#85 – F Steve McLaren). March 21, 1994 – Chicago traded F Stephane Matteau and F Brian Noonan to the NY Rangers for F Tony Amonte and the rights to F Matt Oates. 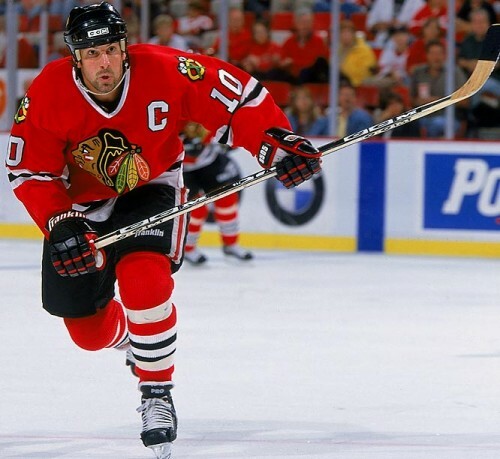 March 20, 1996 – Chicago traded F Patrick Poulin, D Igor Ulanov and Chicago’s 2nd round pick in the 1996 Draft to Tampa Bay for D Enrico Ciccone and Tampa’s 2nd round pick in the 1996 Draft. March 20, 1996 – Chicago traded a 4th round pick in the 1996 Draft to Winnipeg for F Ravil Gusmanov. March 18, 1997 – Chicago traded F Ravil Gusmanov to Calgary for D Marc Hussey. March 18, 1997 – Chicago traded F Mike Prokopec to Ottawa for F Denis Chasse, D Kevin Bolibruck and a 6th round pick in the 1998 Draft. March 24, 1998 – Chicago traded D Ryan Risidore to the NY Rangers for F Ryan Vandenbussche. March 23, 1999 – Chicago traded F Nelson Emerson to Ottawa for F Chris Murray. March 23, 1999 – Chicago traded D Chris Chelios to Detroit for D Anders Eriksson, a 1st round pick in 1999 (#23 – D Steve McCarthy) and a 1st round pick in 2001 (#29 – G Adam Munro). March 13, 2001 – Chicago traded F Dean McAmmond to Philadelphia for a 3rd round pick in the 2001 Draft (#88 – Nicolas Corbeil). March 19, 2002 – Chicago traded D Jaroslav Spacek and a 2nd round pick in the 2003 Draft (#46 – F Dan Fritsche) to Columbus for D Lyle Odelein. March 11, 2003 – Chicago traded F Steve Thomas to Anaheim for a 5th round pick in the 2003 Draft (#156 – F Alexei Ivanov). March 11, 2003 – Chicago traded F Peter White to Philadelphia for future considerations. March 11, 2003 – Chicago traded D Phil Housley to Toronto for a 9th round pick in 2003 (#282 – F Chris Porter) and a 4th round pick in 2004 (#123 – F Karel Hromas). March 11, 2003 – Chicago traded Sergei Berezin to Washington for a 4th round pick in the 2004 Draft (#120 – D Mitch Maunu). March 9, 2004 – Chicago traded D Alexander Karpovtsev to the NY Islanders for a 4th round pick in the 2005 Draft (#108 – D Niklas Hjalmarsson). March 9, 2006 – Chicago traded F Tyler Arnason to Ottawa for F Brandon Bochenski and a 2nd round pick in the 2006 Draft (#61 – D Simon Danis-Pepin). March 9, 2006 – Chicago traded F Jim Dowd to Colorado for a 4th round pick in the 2006 Draft (#111 – D Korbinian Holzer). March 9, 2006 – Chicago traded D Todd Simpson to Montreal for a 6th round pick in the 2006 Draft (#169 – F Chris Auger). February 27, 2007 – Chicago traded F Karl Stewart and Florida’s 6th round pick in the 2008 Draft to Tampa Bay for F Nikita Alexeev. February 26, 2008 – Chicago traded F Martin Lapointe to Ottawa for a 6th round pick in the 2008 Draft (#169 – F Ben Smith). February 26, 2008 – Chicago traded F Tuomo Ruutu to Carolina for F Andrew Ladd. March 4, 2009 – Chicago traded D James Wisniewski and F Petr Kontiola to Anaheim for F Sami Pahlsson and D Logan Stephenson. February 28, 2011 – Chicago traded forward Ryan Potulny and a 2nd round pick in the 2011 Draft (#48 – Xavier Ouellet) to Ottawa for defenseman Chris Campoli and a 7th round pick in 2012. February 27, 2012 – Chicago traded defenseman John Scott to the NY Rangers for a 5th round pick in the 2012 Draft (#149 – D Travis Brown). February 27, 2012 – Chicago traded 2nd (#61 – Zach Sanford) and 3rd (#91 – J.C. Lipon) round picks in the 2013 Draft to Winnipeg for defenseman Johnny Oduya. April 3, 2013 – Chicago traded forward Rob Flick to Boston for forward Maxime Suave. March 2, 2015 – Chicago acquired forward Andrew Desjardins from San Jose for forward Ben Smith and Chicago’s 7th round pick in the 2017 NHL Draft. Feb. 29, 2016 – Chicago acquired goaltender Drew MacIntyre from Carolina for defenseman Dennis Robertson. March 1, 2017 – Chicago acquired forward Kenton Hegelsen and a seventh round pick in the 2019 NHL Draft from Anaheim for forwards Sam Carrick and Spencer Abbott.